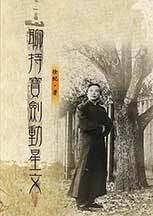 Certainly one of the most conscious martial artists of his generation (Yes, Tiffany, there are some) Adam Hsu long ago took on the unrewarding task of reconciling a lot of stupid martial misconceptions and misinformation with an art of protracted history and great complexity. �Chinese martial arts applied to real combat, and other world famous approaches, are not the same thing. This matter is extremely subtle. Not only is it a long story but, furthermore, we should try to avoid just an armchair discussion. We have no alternative but to describe its different principles, which can be 1, 2, 3, or 4 key points. This makes it simple to remember: (1.) action attack and defend; (2. )� words leak and seal; (3. )� doors protect, interact, break; (4. )� Methods point, thread, plane, and reverse: these are the basic words. Actual combat technique�when a serious attack comes�is not theoretical, not “self defense,” but�destroy� the enemy. Posted April 25, 2012 by Plum Staff. Comments and trackbacks are open. Follow the comments feed.